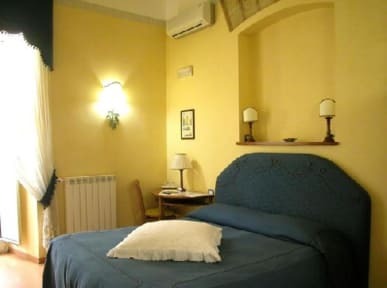 B&B Porta Nolana has 6 rooms with private bathroom, air cond., furnished with a particular care to the comforts. A small balcony offers a typical view of the city in every room. If you'd like to stop longer than a few days, we'll be able to offer you 3 studios with kitchenette (linen, sheets are also included in this case), fridge and all the things you'll need to cook the local food. Cancellation policy: 72 hours before arrival date. For no-show, 100% of the entire stay will be charged. All times refer to the local time at the property. Please could we have your arrival time in order to give you our best welcome for your check-in ? Remember that for check-in after 11.30 a.m.; it is necessary to communicate your exact arrival time. 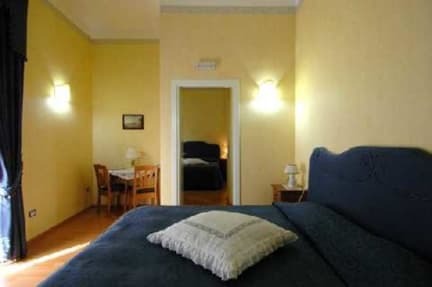 I inform you that the city tax of € 2.00 per person per night is not included and will be added to room bill.